Patrick was born in 2 March 1885 in Ballincargy, Co. Westmeath. On the 8 January 1908, he married Elizabeth Murray, who was born in England, but lived in Ballynacarrigy. By 1911 they had two children, Katherine and Thomas. 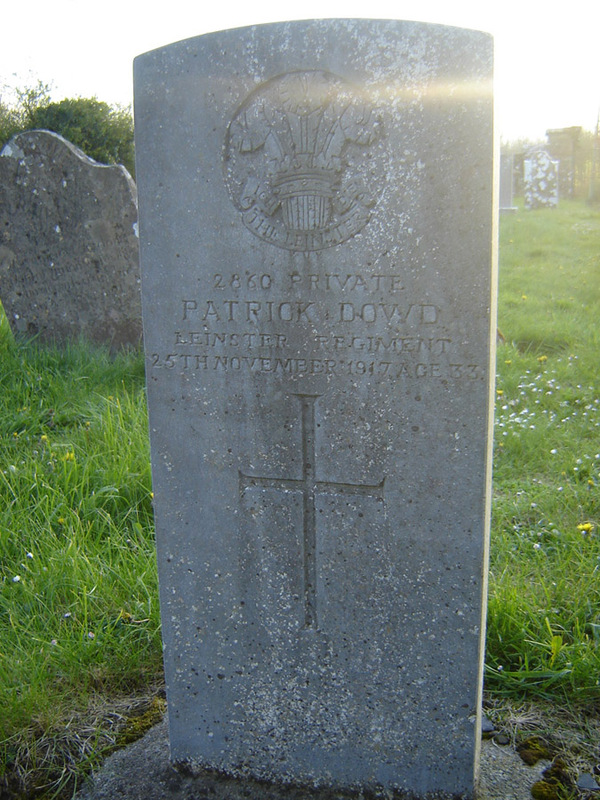 Pte Dowd enlisted in Mullingar and served in the Western Theatre (France). He was wounded at the front and returned to Dublin via Portobello Barracks, for treatment at what was then the George V Hospital, now St. Bricin's Military Hospital, Arbour Hill, Dublin 7. Sadly he passed away there as a result of his wounds.